Brooklyn, New York City, NY. August, 1971. 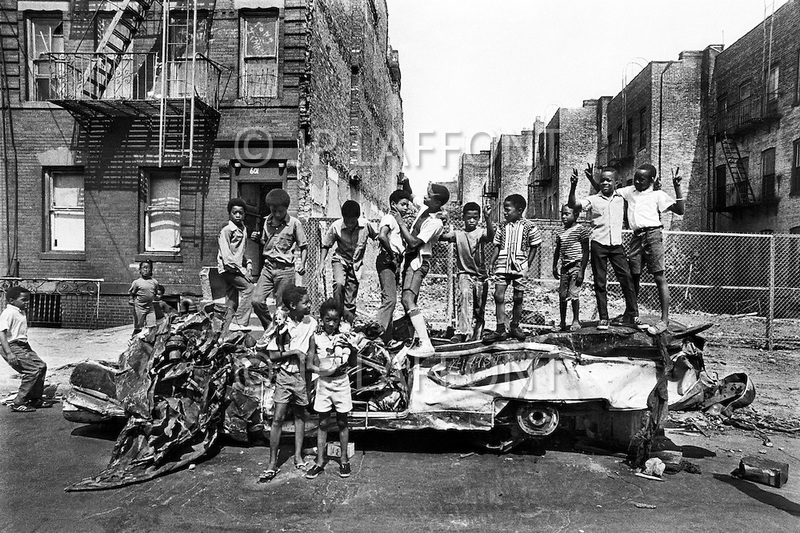 Kids standing on a wreck on a very hot summer day in Bedford Stuyvesant. There were poor housing, kids playing on the streets, burnt buildings, abandoned stolen cars, and unemployement.